HUMANITARIAN Work Leader is not an ephemeral global title. 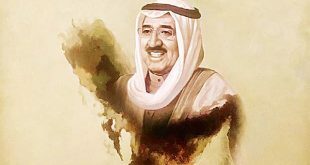 It reflects the nature of HH the Amir Sheikh Sabah Al-Ahmad Al-Jaber Al-Sabah who feels people’s concerns and pains, while exerting tremendous efforts to ease and lessen the impact of such concerns and pains. 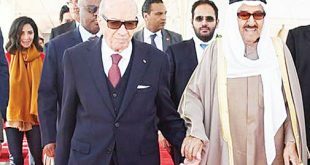 Grants to settle debts of citizens and expatriates imprisoned for nonpayment of debts and those given to orphans are the personal expenses of HH the Amir. These are just two of several local and foreign initiatives by HH the Amir. 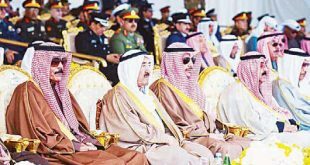 If this is the essence of a true leader in dealing with his people, then the foreign initiatives of HH the Amir like the donor conference for Syrians and the reconstruction of Iraq conference are manifestations of the veteran leader’s awareness that stability of sisterly countries is beneficial for the entire humanity. This is due to the fact that stability prevents many evils which bring suffering to nations because of conflicts and wars. A leader of this high caliber fully realizes that countries cannot be ruled except through compassion and empathy, and that stringent laws might sometimes lead to major problems. 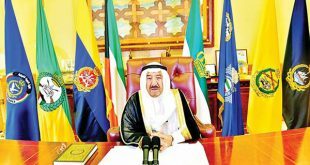 Therefore, HH the Amir interpreted compassion and empathy by transforming the general social course and reviving the innate Kuwaiti demeanor through grants which we wish to include granting citizenship to children of Kuwaiti women married to non-Kuwaitis. This kind of grant can only come from a genuine humanitarian leader; given that these children were born, nurtured, studied and are living in Kuwait. They do not know any other country than this land. Their mothers are the children of this blessed land which only grows good plants. A question is posed to every human being: What is your mother tongue? Here, it does not mean the spoken language, but the language a person is brought up with. Thus, it is unfair for a woman who was raised, worked and struggled in this country to be separated from her children when they grow up and then ask these children to go to the countries of their fathers; whereas they are strangers in those countries. Indeed, the law does not see with a merciful eye but the humanitarian leader completely understands what it means to grant nationality to those who belong to this social category without waiting for their fathers to die or their mothers to be divorced. It is as if the current law encourages breaking down of homes just to obtain citizenship, while the Kuwaiti society is one of the societies where family ties are strong. 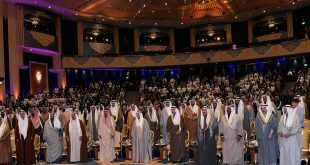 Furthermore, irrespective of the number of these children, they will form the Kuwaiti labor force at the end. This means that investment on their education will go to the proper course and tackle the population structure issue positively. Indeed, only ‘Sabah’ of humanity can solve this problem. Once solved, it will elevate a social layer within Kuwaitis. This is why we wish that HH the Amir takes into consideration this category of children who do not know any other nation apart from Kuwait.